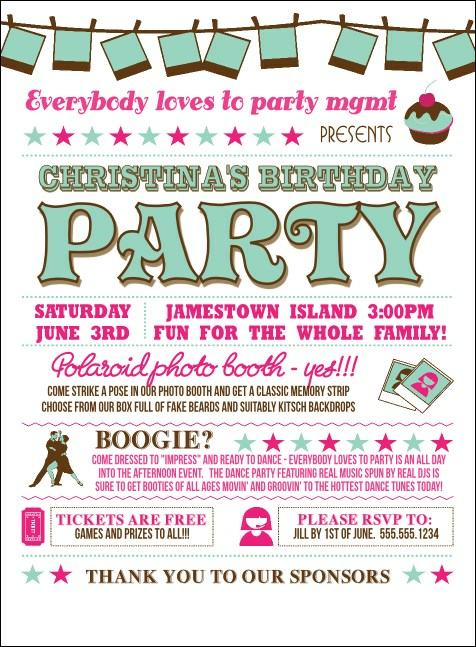 Need help throwing a great birthday party? Well, surprise! We’ve got just the thing for you. Birthday Whimsical Invitations feature an flirty design with a fresh theme full of bright color, and this template includes up to twenty lines of unique text for all your special event details. Send these out in advance to stir up the excitement early! TicketPrinting.com helps you party like a rock star.